2 Teaching aims and demands: 1.Learn to express his/her own feelings in proper words. 2.Learn to exchange personal feelings. 3.Learn to use the adverbial clause of reason. 4.Learn to talk about the topic of the movie. 3 . How does Mr. Lee look?. Why is he disappointed?. Does Kangkang like Beijing Opera? He looks a little disappointed. Because he cant get a ticket to The Sound of Music. No, he doesnt. He doesnt like it at all. 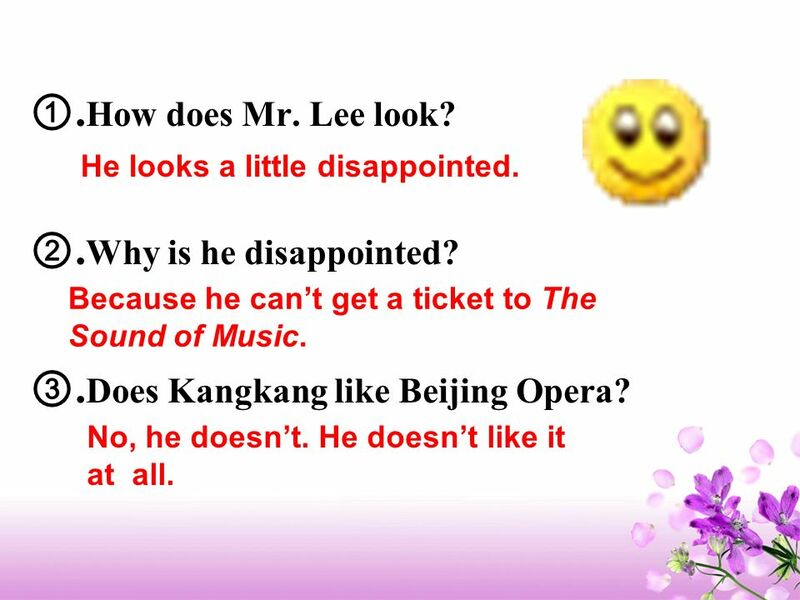 5 Kangkang: Whats the matter with Mr. Lee? He seems a little disappointed. 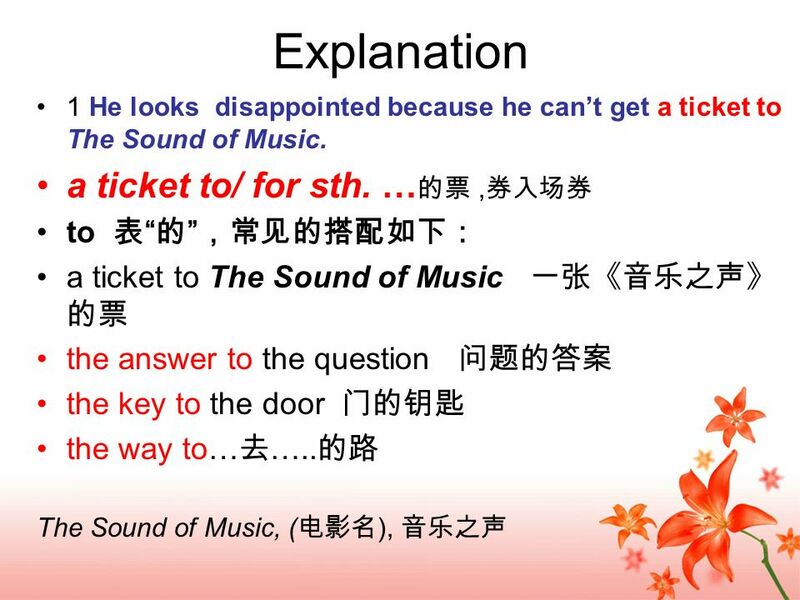 Michael: He feels disappointed because he cant get a ticket to The Sound of Music. I think he really wants to watch it. Jane: I hope he can see the movie next time. Its my favorite. I think its very interesting. 6 Maria: My favorite is Cats. Its so funny and interesting. Kangkang,do you like Beijing Opera? Kangang: No,I dont like it all. Its boring. But my parents like it a lot. Maria: So what do you like best Kangkang: Love Me Once More. Its so moving. 8 be proud of sb./ sth. …… …… Today we are proud of our school and tomorrow our school will be proud of us. 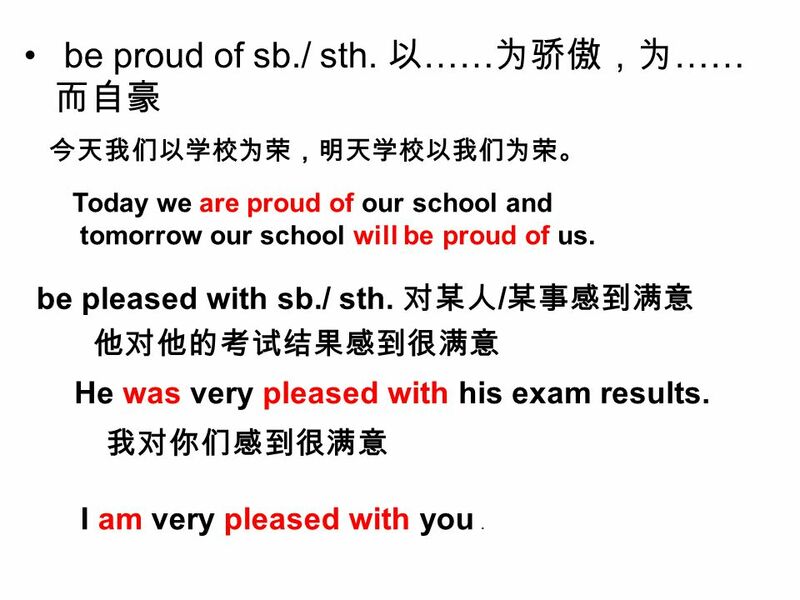 be pleased with sb./ sth. / He was very pleased with his exam results. I am very pleased with you. 9 2.The boy seems worried. 3. The little boy is very pleased with his new bike. 4.He feels disappointed. 5.It smells terrible. 6. The leaves turn green. 10 Look,listen and say 1 Why isnt Michael able to come to Kangkang's house? Because he has a temperature. Can Mr. Lee go to the movie ? Yes, he can. and he will be surprised. 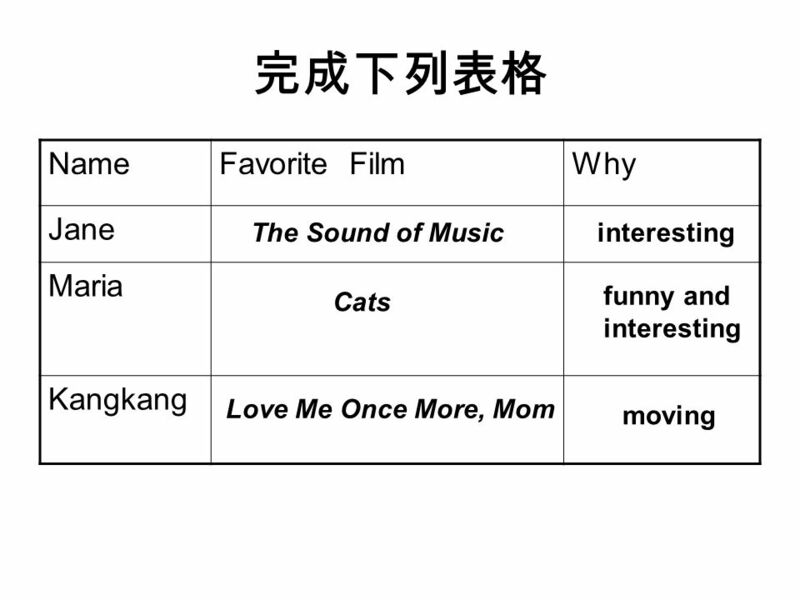 11 Mother: Kangkang, are you setting the table for your friends? Kangkang: Yes,Mom. Mother: Just set three places.Michael isnt able to come. He has a temperature. His mother called just now. Kangkang: Thats too bad. Did she sound worried? Mother: Yes,of course. 12 Kangkang: I hope everything goes well. Ill ring up Michael later. Mother: You can also phone Mr. Lee and tell him he can go to the movie with us. Kangkang: OK! Im sure Mr.Lee will be surprised! 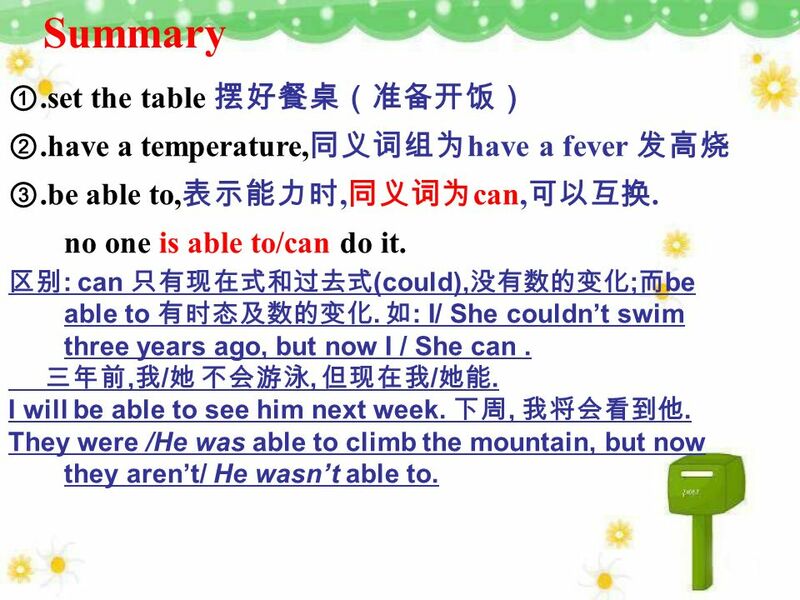 13 Summary.set the table.have a temperature, have a fever.be able to,, can,. no one is able to/can do it. : can (could), ; be able to. : I/ She couldnt swim three years ago, but now I / She can., /, /. I will be able to see him next week.,. They were /He was able to climb the mountain, but now they arent/ He wasnt able to. Download ppt "Unit 5 Topic 1 Section B. 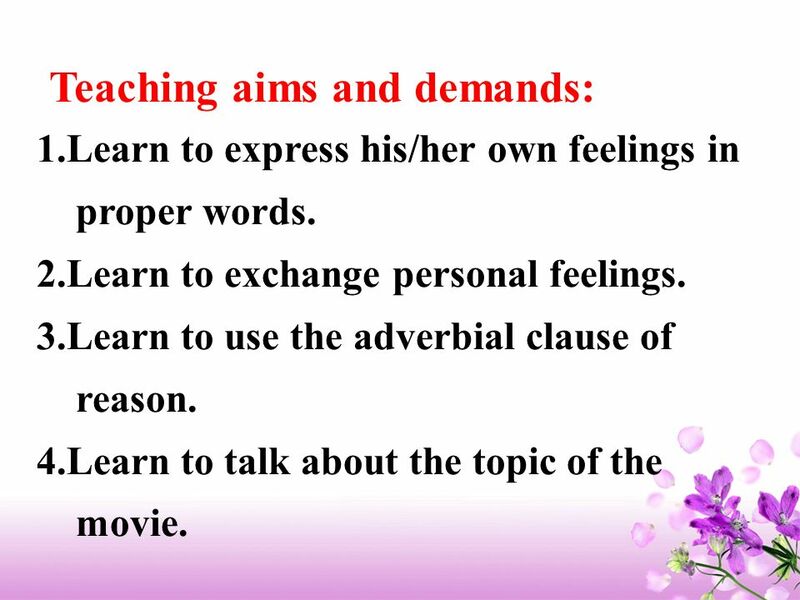 Teaching aims and demands: 1.Learn to express his/her own feelings in proper words. 2.Learn to exchange personal feelings. 3.Learn." Because he did badly in the exam. = He failed the exam. fail 失败 The mother is very ______with her son. 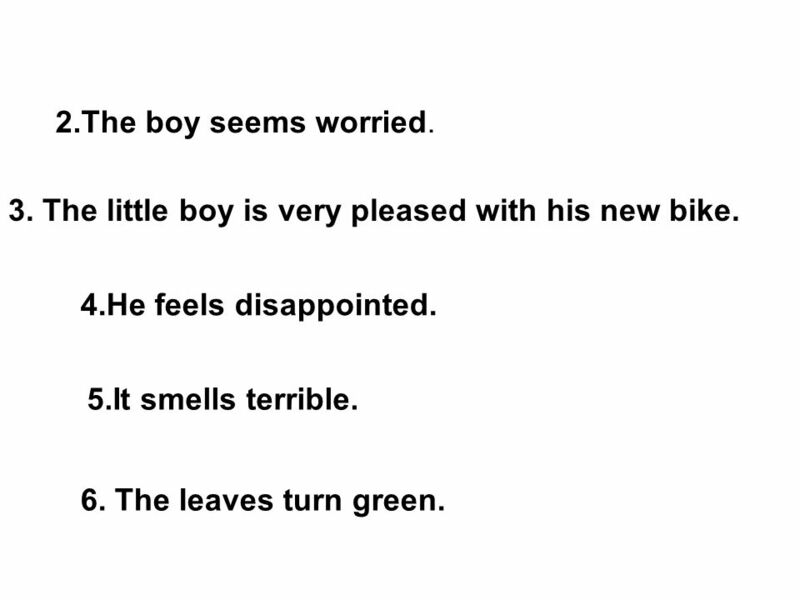 The boy feels very____. angry sad Why? LOGO Unit 3 Under the sea Listening & speaking. Do you know us? I’m a dolphin. T opic 1 Why all the smiling faces? 肇庆市黄岗中学 杨育梅 八（ 4 ）班.  Tonguetwister!  Review of Chapters 1, 2 and 3!. Unit 3 Language in use.. Language practice She asked if I was practising too much. She told me to rest and get better soon. She told me to look after. 1 st situation names. Show host => H Violinist => V Rocker => R H: Hello everyone! Welcome to our show today. Let’s welcome Ms. ____ the violinist and. Topic 3 Must we do exercise to prevent the flu? Section B 华安五中 黄惠珠. Bridging Yourself with Others: Having a Conversation.